Hemas Holdings in partnership with Minor Hotel Group will be introducing the leading hospitality brand ‘Anantara’ to Sri Lanka with a soft opening of its first luxury property, Anantara Peace Haven Tangalle Resort, in December 2015 with the official launch in early 2016. With a project value of approximately $ 50 million, the exclusive Tangalle property boasts 120 rooms and 32 standalone private pool villas, six restaurant and bar venues, an exclusive Anantara Spa, a 25-metre swimming pool, fully-equipped cardio-gym, tennis and badminton courts. Easy accessibility may be undertaken via chauffeur-driven, resort-owned luxury vehicles, seaplane or helicopter transfers. The Anantara brand currently boasts 35 stunning properties internationally with future properties to open in Mozambique, China, Sri Lanka, Mauritius, Laos, Qatar and Oman. 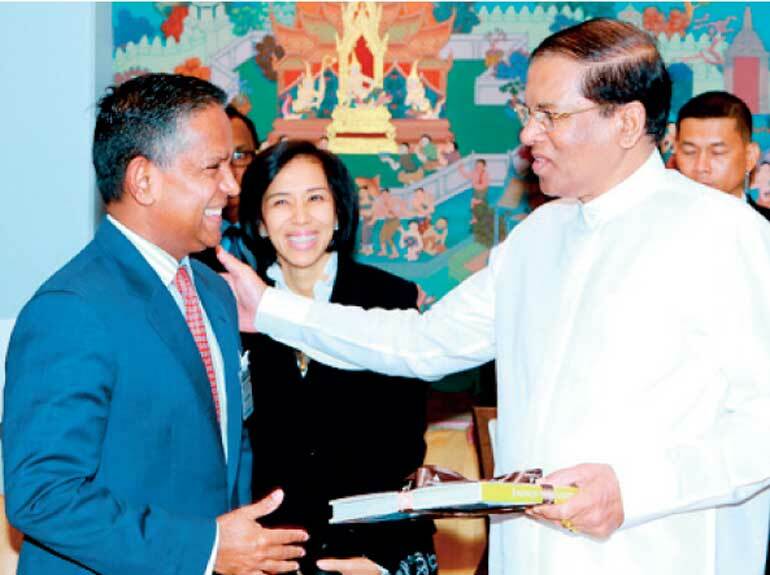 Anantara Siam – one of Bangkok’s most iconic hotels – was proud to have hostedPresident Maithripala Sirisena and his trade delegation at the recently held ‘Thailand-Sri Lanka Business Forum’whilst on his State visit to Thailand. Anantara Peace Haven Tangalle Resort is a joint venture between Hemas Holdings and Minor Hotel Group. The second Anantara branded property –the Anantara Kalutara Resort is scheduled to open in March 2016.Serendib Leisure Management Ltd– the leisure arm of Hemas Holdings manages Hotel Sigiriya and Club Hotel Dolphin and the internationally branded hotels AVANI Bentota Resort & Spa and AVANI Kalutara Resort. Minor Hotel Group (MHG) is a hotel owner, operator and investor, currently with a portfolio of 135 hotels, resorts, camps and serviced suites in operation under the Anantara, AVANI, PER AQUUM, Oaks, Tivoli, Elewana, Marriott, Four Seasons, St. Regis, Radisson Blu and Minor International brands. Today MHG operates over 17,000 rooms in 22 countries across Asia Pacific, the Middle East, Africa, the Indian Ocean, Europe and South America. With ambitious plans to grow the hotel group to 190 properties, MHG continues to expand the home grown brands of Anantara and AVANI, plus continues to announce strategic acquisitions.